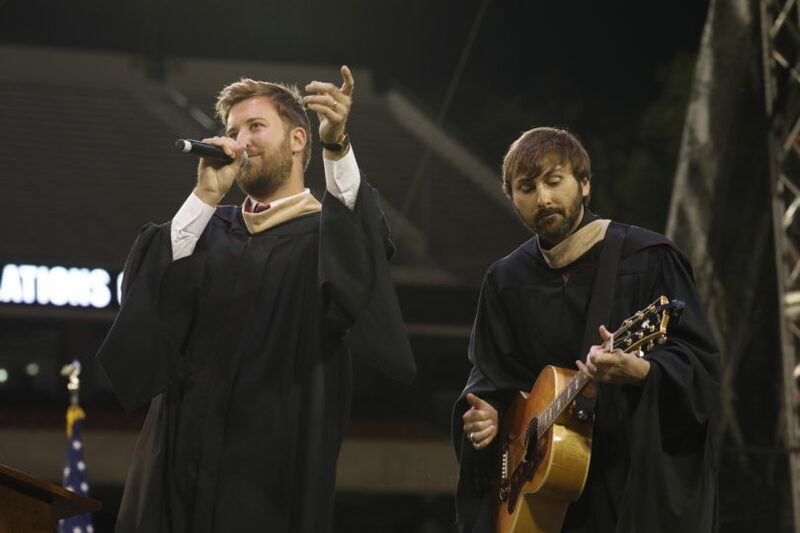 David Haywood and Charles Kelley, UGA graduates and part of the multiplatinum trio Lady Antebellum, gave this year’s spring undergraduate Commencement address. They told the 4,576 undergraduates about their own journey after graduating from the University of Georgia from the business world to writing music professionally. They also encouraged those graduating to be willing to take risks and be open to new ideas and experiences. “There is more than one clear path and direction,” Kelley said.